Dr. Chris Martin, dean of Louisiana Tech University’s College of Business, recently announced the first speaker for the fourth annual “Inside the C-Suite” speaker series. With focuses on the College’s core academic themes of technology, innovation, and entrepreneurship, this co-curricular program is designed to complement and expand on what students are learning in the classroom. It also offers high-level executives a platform to share insight on issues prevalent in society and the business world. Bill Bradley, retired senior vice president of cyber engineering and technology services at CenturyLink and Executive in Residence at the College of Business, will kick off the series with a special focus on “Leading Change in a High-Tech World” at 4 p.m. Tuesday, Feb. 5. Free and open to the public, the event will take place in Davis Auditorium (COB 101). 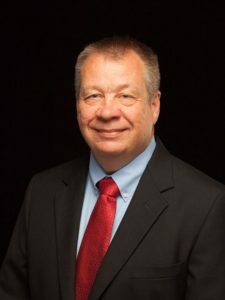 Bradley has 33 years of experience in cyber security and information technology with roles ranging from software developer to chief technology officer and chief information officer at CenturyLink. Under his leadership, the company’s global workforce ensured CenturyLink was protected and its cyber technology services customers received support from a trusted partner. During his tenure as chief technology officer and chief information officer, Bradley’s leadership was fundamental in CenturyTel’s acquisition of Embarq in 2009 to create CenturyLink, successfully integrating hundreds of applications, converting millions of customers to a single consumer billing system, and tripling the scale of the IT organization. Bradley received his bachelor’s degree from Louisiana Tech University in 1985. “Inside the C-Suite” provides a forum for top corporate leaders from some of the nation’s most prominent companies to share their views on topics of societal, academic, and professional importance. The series strives to stimulate insightful conversation on current issues by providing a platform for high-level executives to speak about cutting-edge issues, elaborate on trends, share wisdom, and provide important career inspiration and advice for students. Topics cover a variety of themes in core business subjects such as economic climate, ethics, corporate responsibility, leadership, globalization, strategic planning, entrepreneurship, technology, innovation, and diversity. For more information on “Inside the C-Suite,” contact Mary Susan Britt, senior director of development for the College of Business, at marysusan@latechalumni.org or 318.257.3741.